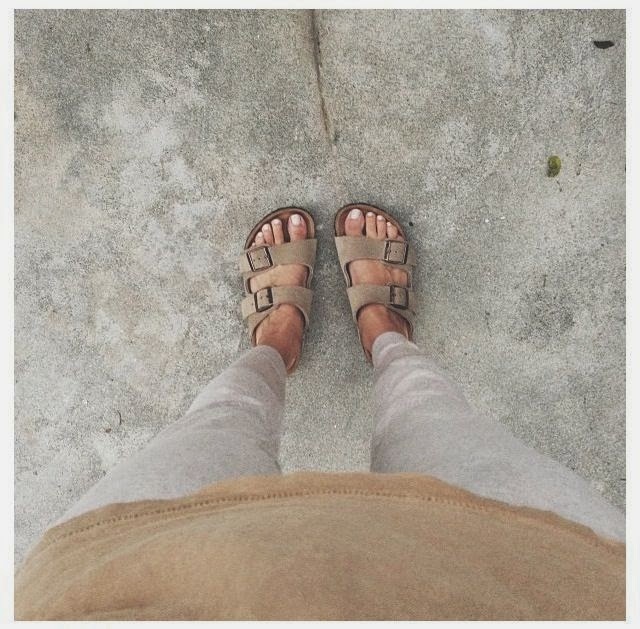 Birkenstocks .... seriously my favorite shoes in the 90's. I rocked them hard y'all with my umbros , socks, and t-shirts. Not the greatest look. They have emerged this year all shiny, trendy, and new again. How do y'all feel about this? I can't decide. On one hand they are super comfy and can be cute if done right, see photos above. Plus remember how comfy they are when broken in? It can go horrible wrong as well... see photos below. Thoughts? I totally wish I still had mine. If I was going to experiment with this trend I would totally repurchase this classic pair. Together with a navy and white striped shirt and white pants. Perfect beachy casual summer look. Computer is back up and running with new software. We are back in business people. Also tomorrow is my Friday! Yayy!